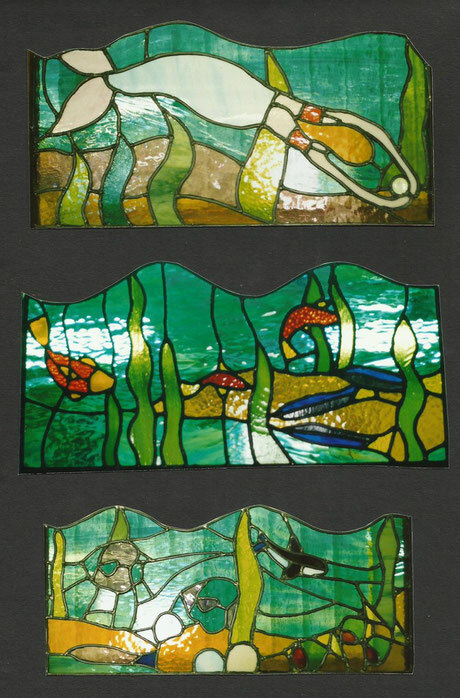 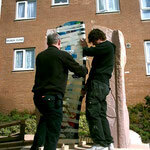 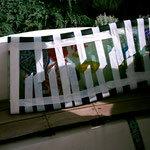 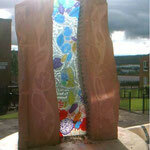 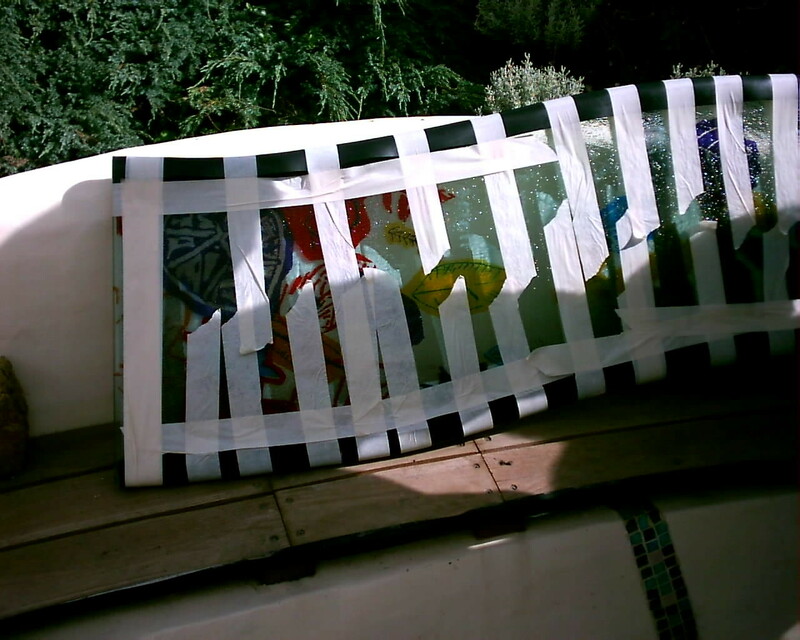 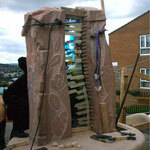 community glass projects - joannahedleys jimdo page! 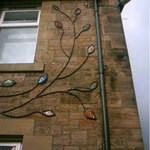 I worked with a lovely group of people to make the fused glass leaves of this tree. 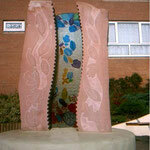 I worked with children with ADHD and their parents. 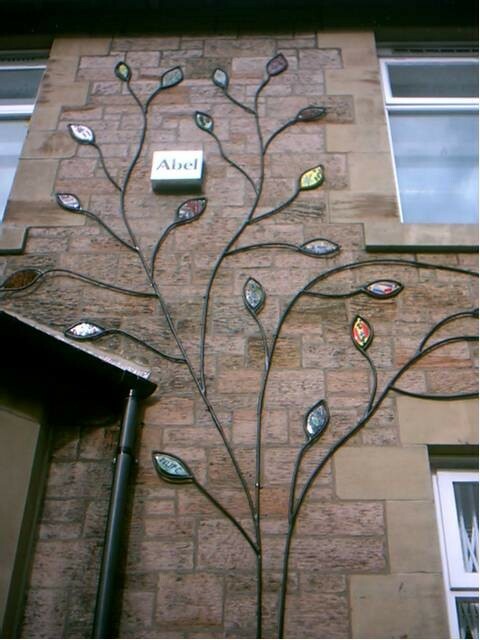 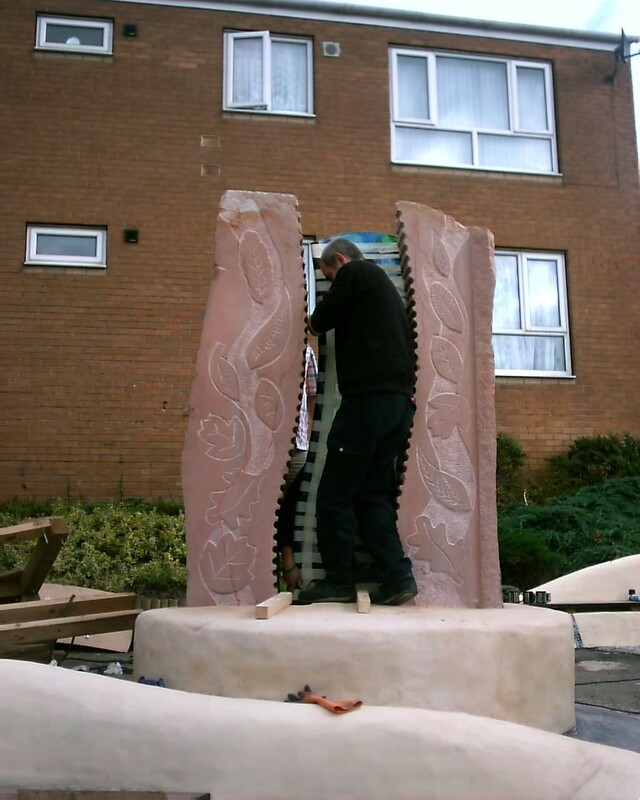 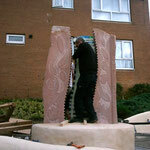 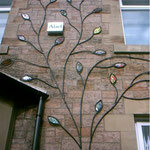 Andy Mcdermott the sculpter, designed and made the tree, and fitted it to the wall! 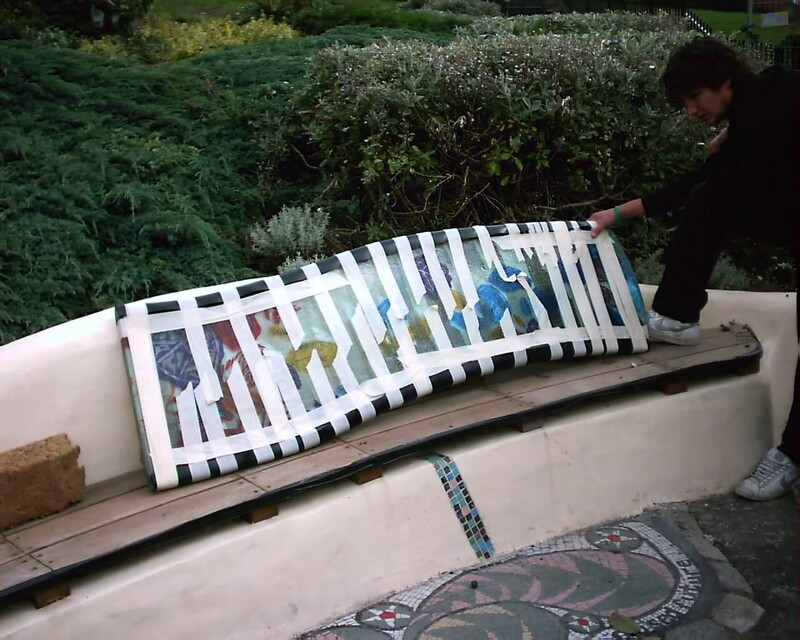 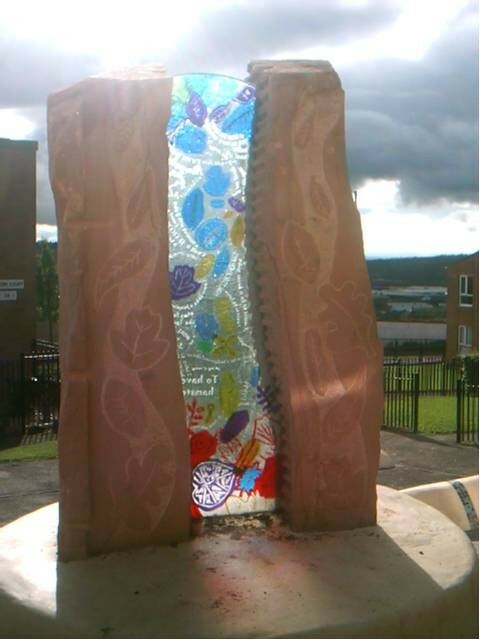 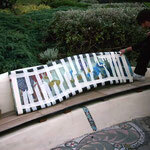 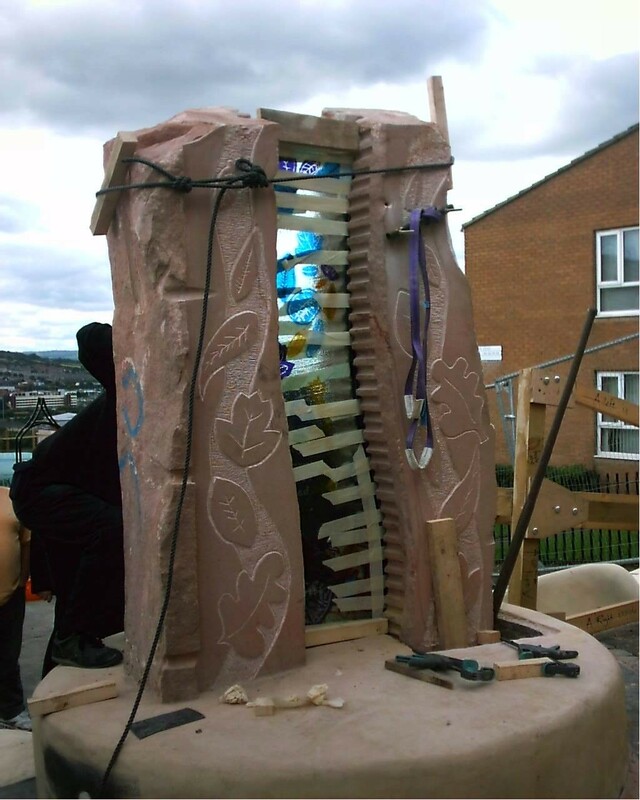 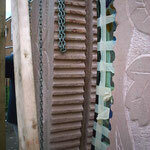 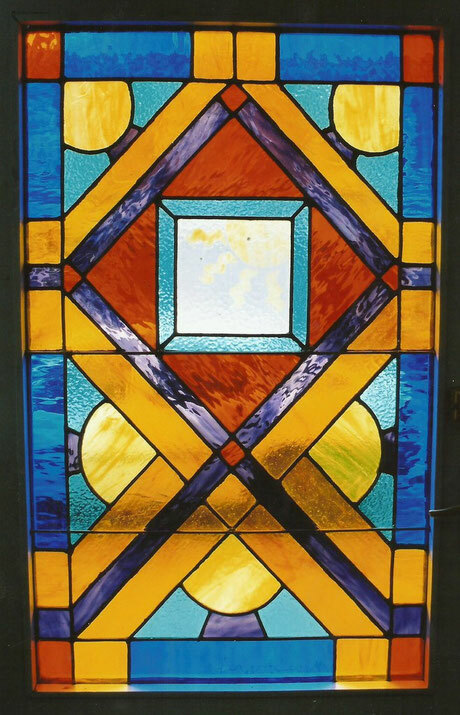 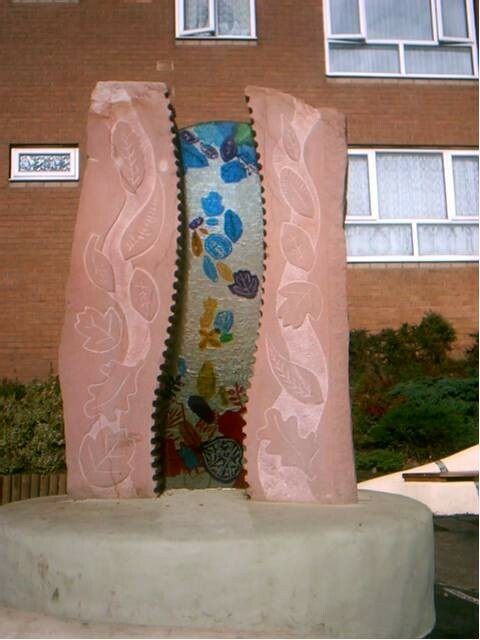 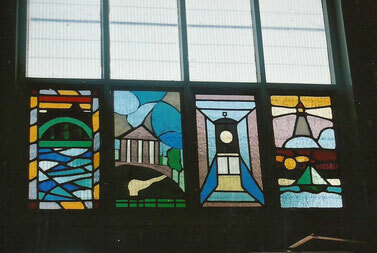 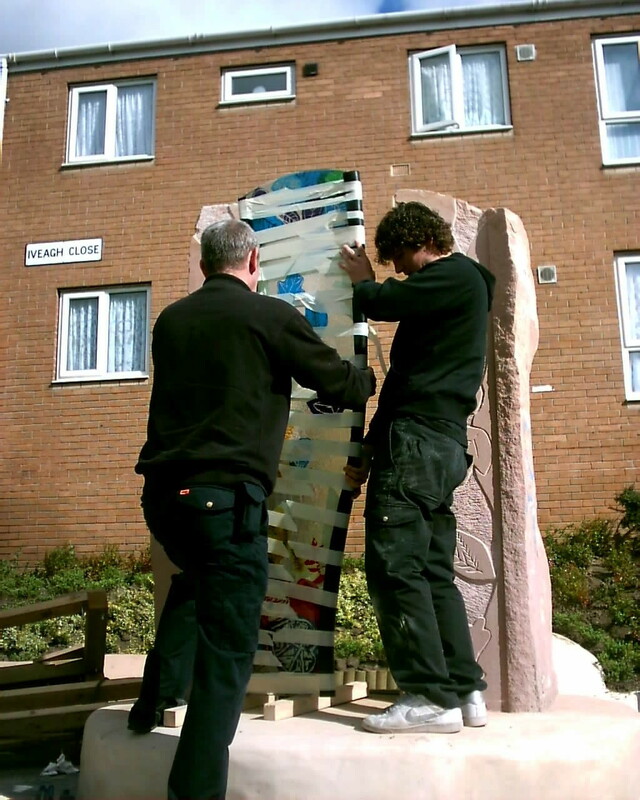 1998 this is a window that I made with a group of people in Benwell Newcastle upon Tyne, It was a 10 week course where each person designed and made there own window, Then as a group the designed and made this panel, which was installed in a community building. 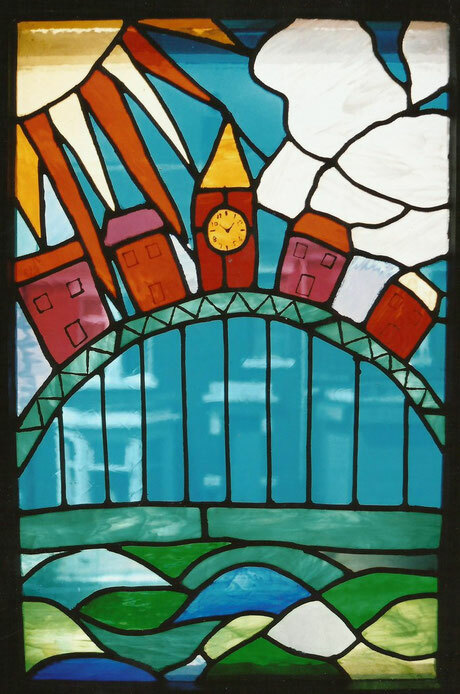 2000, This is a window that I made with a lovely group of people, It was a group of over 50's, the course was funded by Newcastle Collage, I taught the group traditional stained glass techniques, they all made a window to take home, then they designed and made this lovely window for the door in their community building "Search"
Search is part of the West End Community Development Consortium. 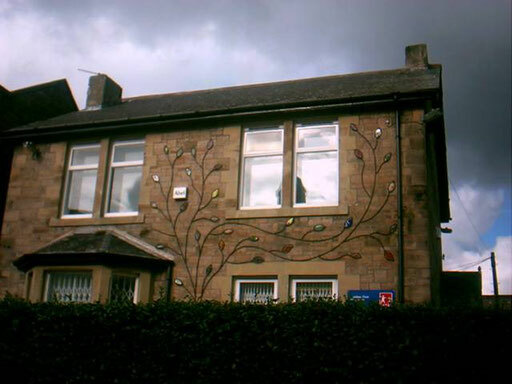 The West End Community Development Consortium is a network of voluntary organisations based in the west end who are working together to look at ways of bringing about more coordinated, broad-based community participation in regeneration activities by bringing together existing neworks in the inner west and supporting the development of new ones. 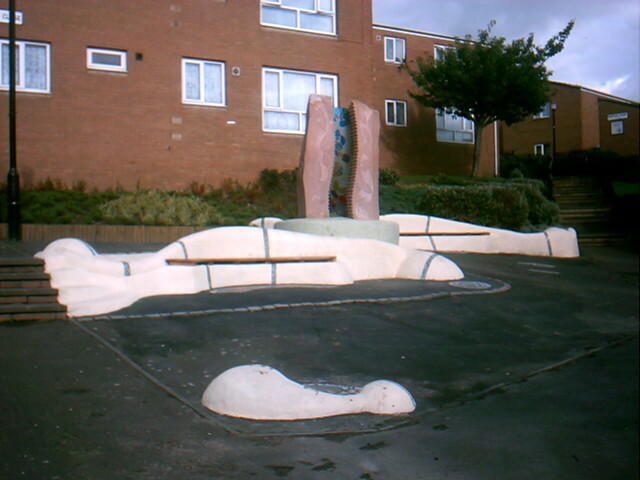 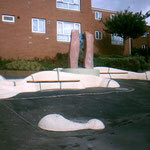 It is funded by the Neighbourhood Renewal Fund. 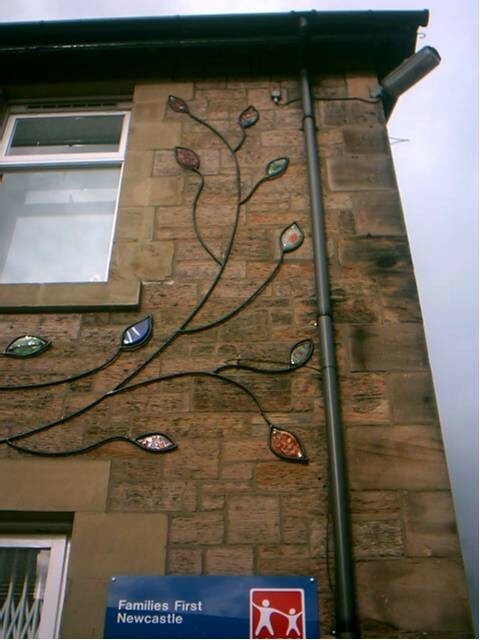 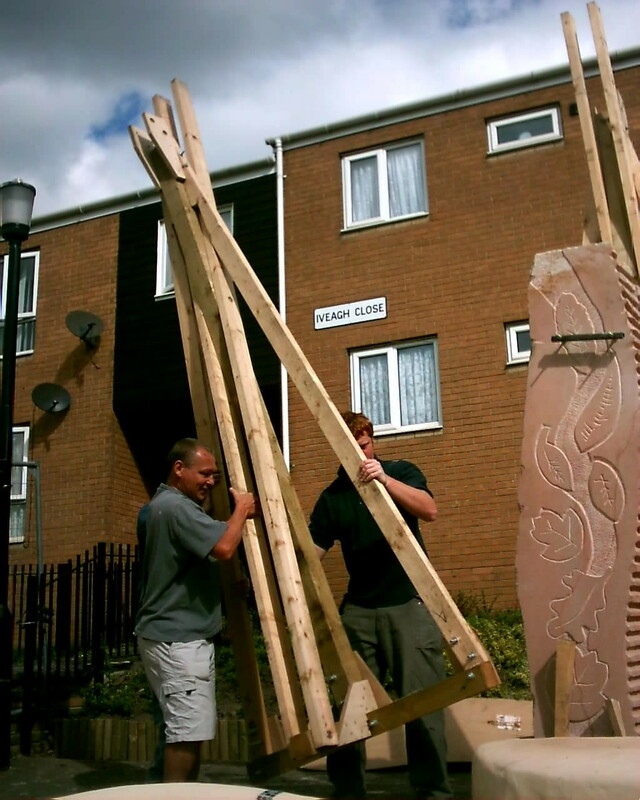 These were the windows made by the community group in Hetton Le hole Sunderland. 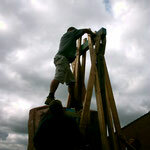 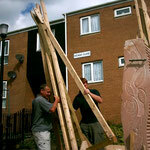 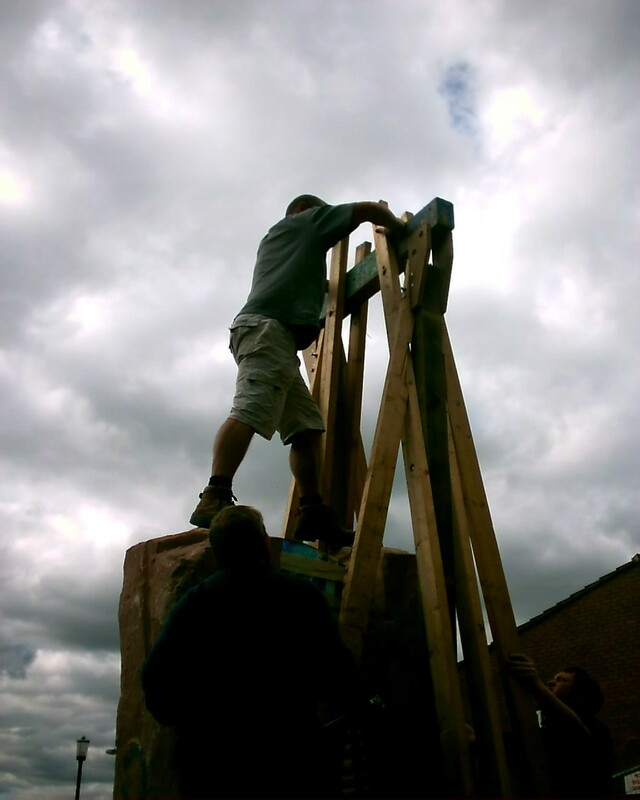 They made windows to take home then worked as a group to make these windows, about the local area. 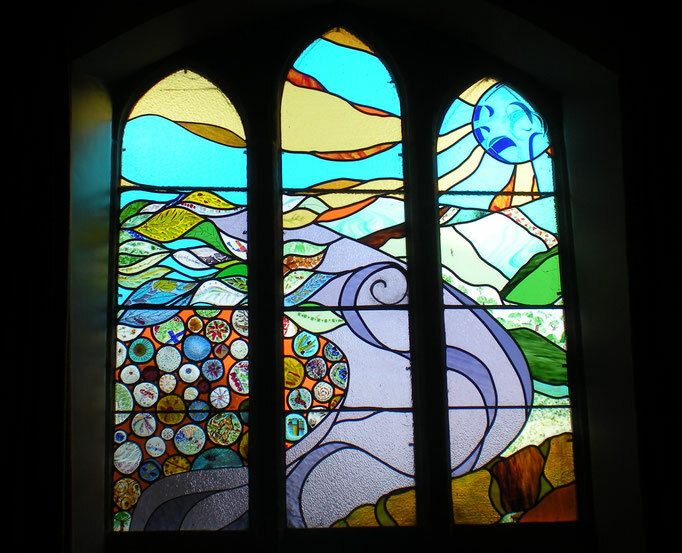 there was a tall skinny window to fill so each lady chose a colour of the rainbow and made part of this lovely window, We used sandblasting and painting to create pattern and texture. I worked with a group of mum's who designed and made these lovely stained glass window for the creche where their children played while they did art activities. 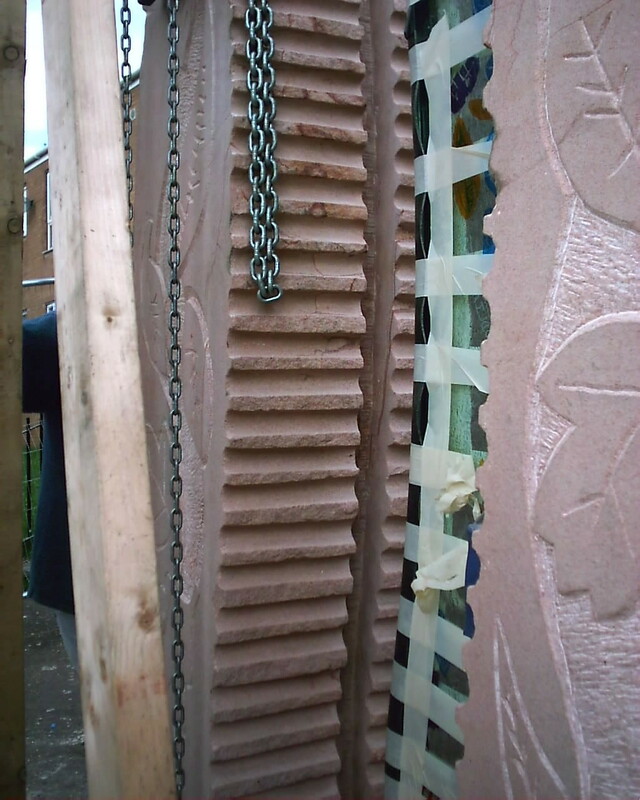 The windows were fitted in an internal wall. 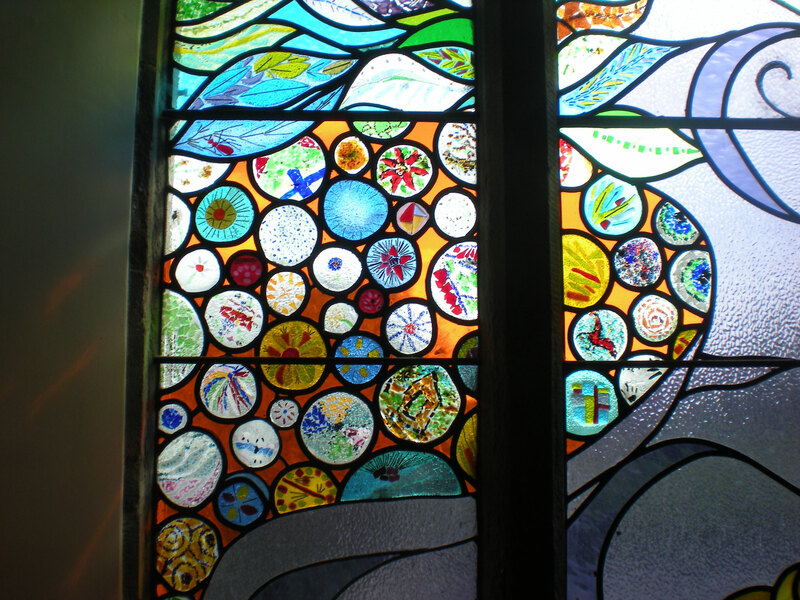 Written on the glass were the hopes and dreams of the children that helped make it. 2000 this window was designed by me with input from the local community, the circles were made over a couple of workshops by the lovely people of Barningham.